Each day, as it seems, more and more information about the dangers of distracted driving comes out — which increases the awareness of drivers about the growing problem. But what has been done? 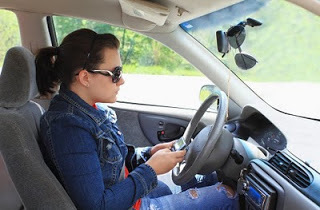 What exactly are organizations and individuals doing to combat distracted driving? When you Google “distracted driving groups” it will yield several results — of individuals banding together, increasing awareness on distracted driving, on a local or country-wide basis. These can be as simple as asking people to pledge against distracted driving, like Oprah’s No Phone Zone, or wearing thumb socks to show a driver’s support for not texting while driving. These groups establish their presence online, in various social networking services, making it easier for their targets to get the message. With the nationwide awareness on the shocking statistics of texting while driving, local governments have acted to put in motion laws that would prohibit cell phone usage while on the road. So far, more than 30 states have a law that places a ban on texting while behind the wheel, urging drivers to think twice before they pull out their phones, unless they want a penalty. For now, the options are being weighed on how to effectively enforce texting ban laws — but public support usually wins, and a law is enacted. Stopping phone use while on the road? Simple. Install a phone/text-blocker app. These applications interface the phone to the car’s GPS and if it sees that the car is in motion, the app disables the phone’s features. With crash-risk increasing 4 times/talking on the phone and 23 times/texting — it may help discipline the driver into not relying on their phones so much while on the road, until hopefully, they won’t have a need for such an application anymore. Learn more about apps like this including http://www.Textecution.com/. Several local/teen driving advocacy groups have set up mock crashes to remind teen drivers (the group who are most likely to engage in texting while driving) what could potentially happen if they text and drive at the same time. In most places, the mock crashes are set up in a way that, the first things that teens going to school are going to see are wrecked cars, teen-drivers-playing-dead-with-phone-in-hand and lots of fake blood. It is a shocking, yet accurate statement that would inform teen drivers of the potential consequences. There are also trial runs — usually hosted by a state’s DMV along with several advocates against distracted driving — they allow drivers to experience firsthand what could happen should they attempt to text while driving. Set in an enclosed space, with only traffic cones as obstacles, there are only a few who manage to get through the course without hitting any of the cones while texting/driving. There are drivers who believe they are perfectly capable of handling both tasks, but running through a trial distracted driving course more or less proves them otherwise. Various organizations would release ads that are either funny or serious in order to make their point. Some organizations do their advertisements a step above by involving the people themselves — they create contests asking drivers if they have what it takes to get the message across, in video form. Which is a good thing — it awakens an enthusiasm and awareness in teen drivers — which makes them think about safety when driving. The addition of cell phones, texting and driving, in-vehicle video entertainment, and navigation systems lengthens the long list of driver distractions. Research reveals that many new drivers do not recognize the risk of these activities when driving. To make teen drivers more aware of the risks there are courses like Dangers of Distracted Driving. The course creates a clear understanding of the distractions while driving and how they can cause crashes and cost lives.